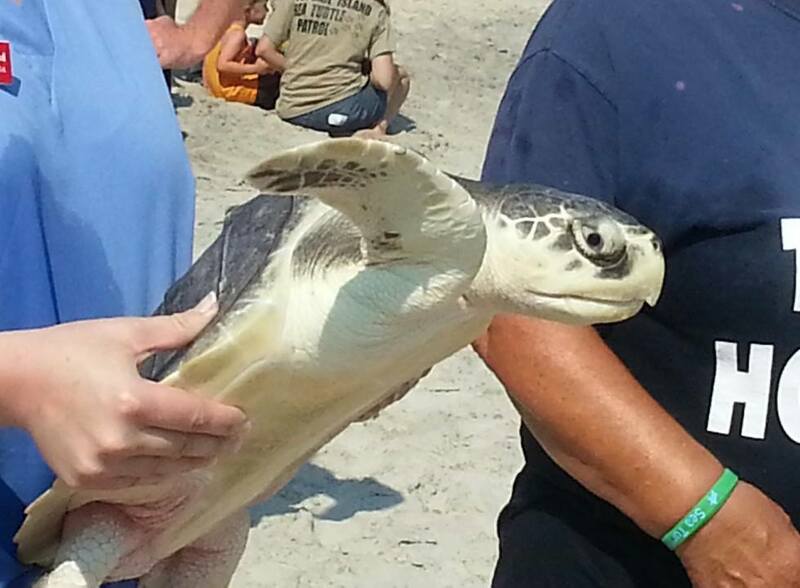 I witnessed a resurrection today on Topsail Island as I watched six healed turtles released into the sea. They all headed in the same direction, toward the point on their way to the Gulf of Mexico. What an amazing sight it was to behold! I marvel when I think of the way it all happened. 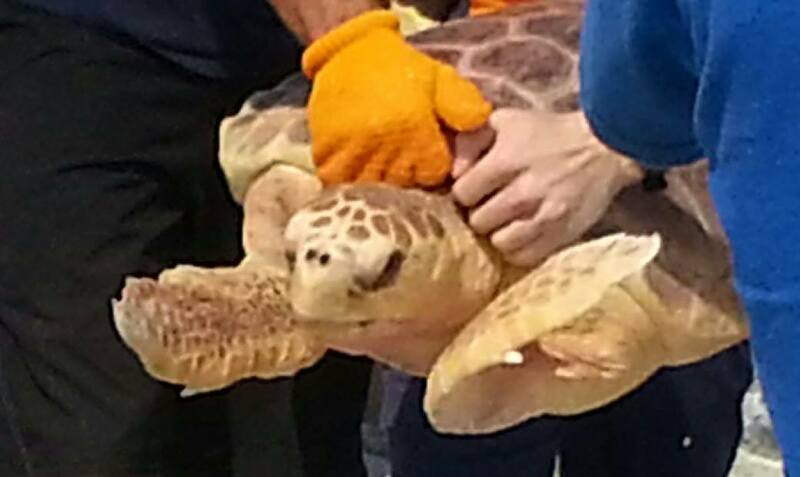 I told my little granddaughters that I was going to visit the sick turtles while I was with my sister on South Topsail Island and promised to bring shirts and some toy turtles back to them. When I got to Edie’s, she told me the new hospital wasn’t open. She said she thought I could get some shirts at the Quarter Moon, so we biked down to the gift shop. The store was closing when we got there, so I quickly grabbed five shirts and asked them to hold them for me until the next day. They didn’t take a credit card, and I didn’t have any cash. We were biking back the following day and noticed the door to the old hospital was open. The turtles were still in there so volunteers were busy at work. I asked if they had any shirts or toy turtles for sale. They told me that the new hospital gift shop was open on Monday and Wednesday for a few hours each day. Edie and I decided to go to the new store and went by the Quarter Moon to tell them I didn’t need the shirts. The lady in front of me was getting a smoothie and telling the woman behind the counter that she was heading out and would smell great when she got back. My sister and I laughed at her remark, and she told us that she was a turtle hospital volunteer. She told us there was going to be a release. We were beside ourselves. It’s very rare to see a release, and Edie had always wanted to witness one. Unfortunately, she had to have carpal tunnel surgery in Chapel Hill today so she didn’t get to see the sweet miracle. All of the turtles did the same thing as they were brought down to the sea, they flapped their legs as if they were flying. Their excitement was contagious, and the crowd cheered them on as they made their way down the beach. Each turtle had a beautiful resurrection, and I thank God for allowing me to witness each. God has a resurrection in mind for all His children, and He gives us the same joy and excitement I saw in those amazing turtles today. The turtles have a very unique GPS that allows them to navigate the globe, and I’ve got the Holy Spirit to help me do the same. There just aren’t words that describe the sweet feeling of freedom I saw in those majestic creatures today. We all are looking to be released so we can go where we know we belong. God taught me a beautiful lesson today with the help of six turtles and the folks at Karen Beasley Sea Turtle Hospital. There is such great work being done by the folks who work there. As I watched them working so diligently to get the turtles back into the water, I realized the turtles weren’t the only things that were extremely large. Their hearts were even bigger! !